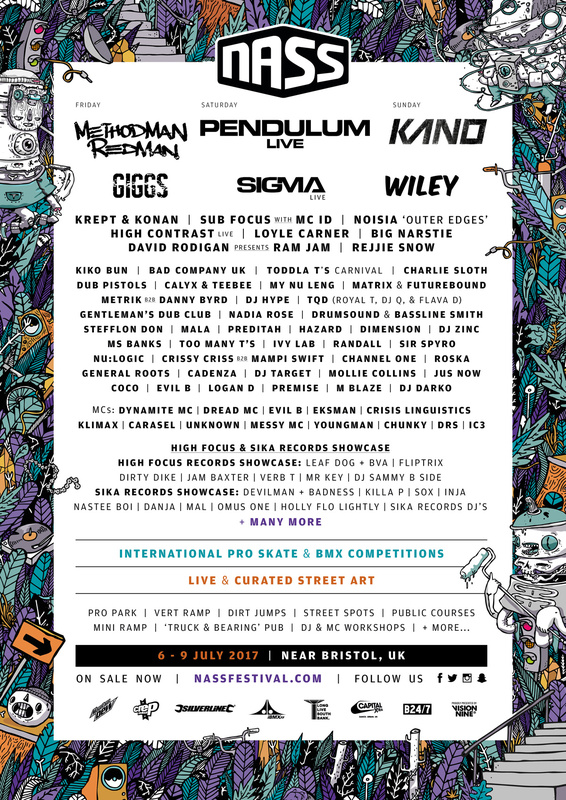 NASS (6th – 9th July 2017) is a unique festival in the UK events calendar, providing a celebration of key passion areas within street culture: music, skate, BMX and street art. 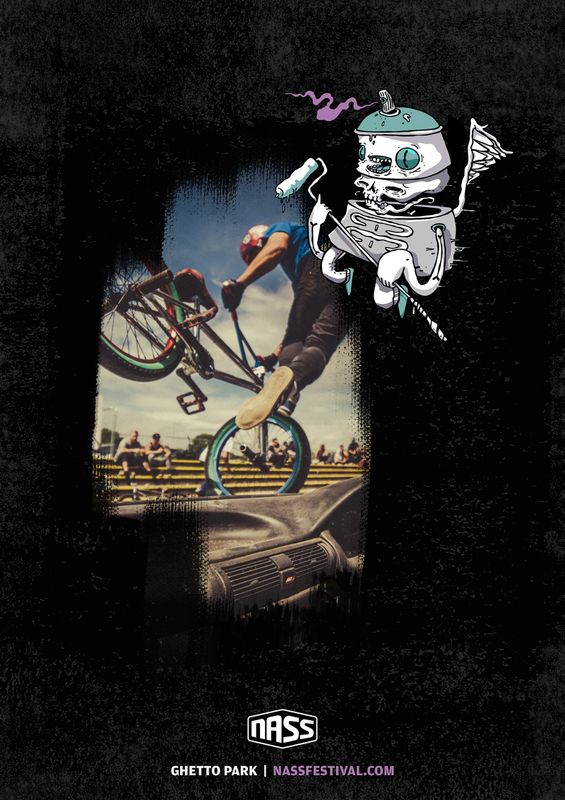 Showcasing some of the best urban acts, artists and athletes on offer, the festival at Bath & West combines high-octane action sports with big tunes and night time revelry, all with a backdrop of top quality art. The creative team were keen to combine these elements for 2017’s artwork, so set about finding the ideal artist to collaborate with. The chosen man was Greg Stobbs AKA Squirl, part of the Lost Souls crew, who was the perfect fit as he is both an illustrator and street artist. It was the best of both worlds: assets were provided to us in a format that was easy to use and adapt, and we knew he could translate the artwork onto 20-foot-high walls for any announcements or onsite. He had also previously painted with us at the festival, so had a good sense of what the event represented. Due to his large variety of illustration styles, we worked together to choose and develop the ideal route – one that was fun but with a dark side. We discussed the brief over a few beers and a theme emerged. The festival represents urban culture but is located on a greenfield site. Even though our audience can skate and ride much of the site, the large amount of grass and trees gives it the feeling of a classic camping festival. We wanted to capture both sides in the creative, so together we developed this idea of a post-apocalyptic urban world that was overgrown and inhabited by strange souls representing different parts of the event. Think Twelve Monkeys meets Spirited Away with a sprinkling of Ghostbusters. 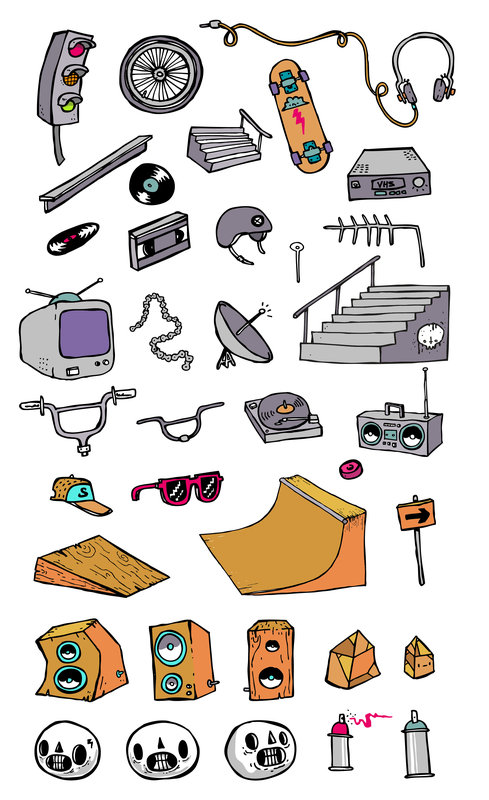 The eight characters covered every requirement for the festival’s promotion – skate, BMX, music, street art, photography, hedonism and camping – bringing both consistency and flexibility. The background assets were provided in vector form as clusters and individual elements so that the NASS team could roll the artwork out across all touch points, from website and social channels to print ads and video content. 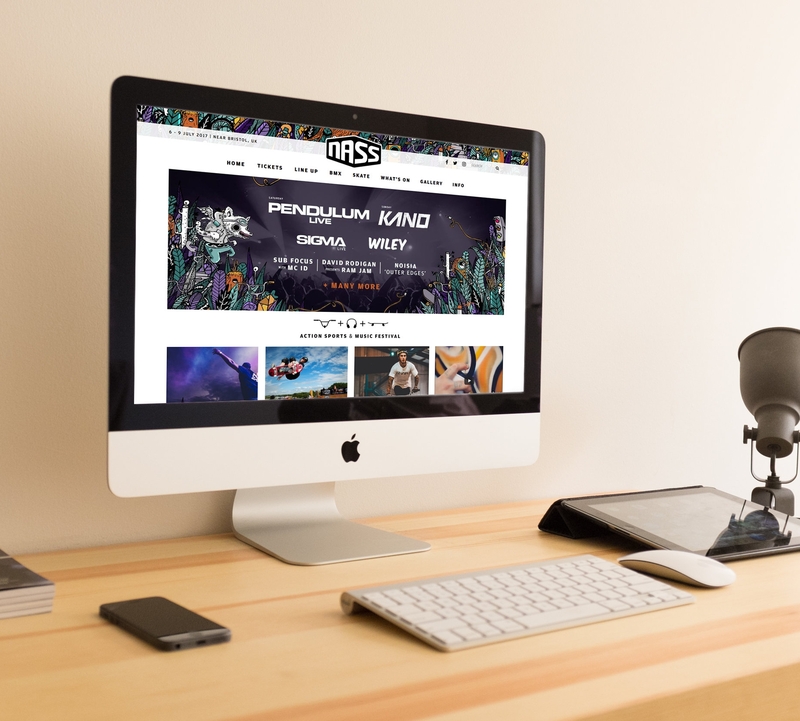 Combining the core pillars of NASS (music, action sports and street art) is always the team’s goal when showcasing the event, and this is particularly true with this years’ announcement videos. The festival’s first release saw headliner Pendulum stencilled onto a canvas of ten skate decks amongst Squirl’s festival creative, to the backdrop of their monster hit ‘Tarantula’, and to date has had more than 410,000 views on Facebook. Collaboration is what our company is all about, so we’re always interested in exploring new opportunities. Got a great idea, but don’t know where to start? Visit our contact page, send us an email, or fill in the message form below.